The 2012 Showcase Event being put on at local Chrysler, Dodge, Fiat, Jeep, and Ram truck dealerships. Quite a mouthful, which is why we'll be breaking the Showcase Sales Event into two parts so that nobody is shorted coverage. Today the focus is on the new car incentives being offered for the Chrysler, Jeep, and Fiat new cars for sale with coverage of the Dodge and Ram truck lineups following soon after. With so many vehicle brands involved, it sounds more complicated then it is. In short, all Chrysler brand vehicles are offering zero percent financing for March and April which means if you wanted to take advantage of Jeep 0% financing or get some Fiat 0% finance now is your chance. All these deals will expire on the 30th of April so you still have plenty of time to read up on the deals and jump on in. The list of Chrysler new car incentive is short and sweet. The big point of interest for buyers looking for big rebates is the $3000 off the Chrysler 200 which starts at only $18,995. Taking an extra 15% off even before you get a chance to haggle isn't a bad way to start. That same deal also applies to the 200 convertible as well if the sunny weather has you thinking something more open as you look at new cars for sale. While the warming weather might have packed up most of that ugly winter weather, Jeeps are fun all year round and the trails are calling. 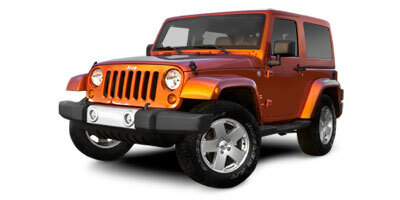 Plenty of Jeep 0% financing available but rebates are a bit lacking. All the cash back love seems to have gone towards the Liberty which is also sporting an attractive $3000 rebate. For the more budget minded there is some new cars under 15000 like the Jeep Patriot. While Fiat hasn't quite gotten a chance to grow out their model lineup yet, there are several versions of the Fiat 500 to look at. The base Fiat 500 shares the new cars under 15000 with the Jeep Compass though it offers higher end Gucci and Abarth editions. Here Fiat 0% finance is likely the best means to go over the rebate.